BEDFORD, Texas – Since 1997, Marcus and Joni Lamb have owned the Daystar Television Network, the fastest-growing Christian television network in the world. Daystar currently operates 70 TV stations across the United States andbroadcasts globally. It also operates significant online and mobile broadcast services. 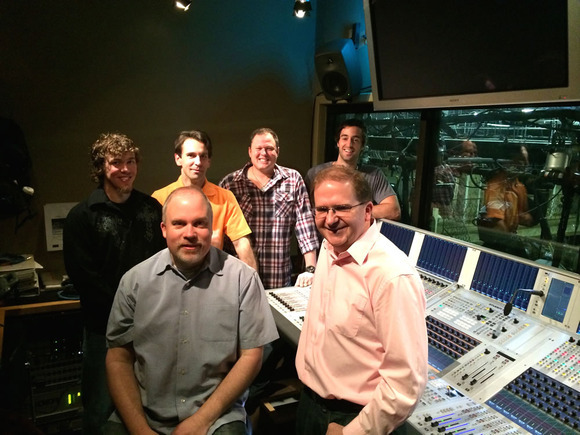 Underlying the network’s success is an unwavering commitment to quality, as evidenced by its reliance on HARMAN’s Studer Vista digital audio consoles. Daystar is a Christian, family-friendly network, featuring specifically religious programming as well as other content, including family-oriented films and music programming. In addition, the Lambs host the network’s flagship program, Marcus & Joni, a variety/chat show that focuses on guest interviews and music, with an in-house band and several guest bands throughout each episode. David Ribb, Daystar’s Director of Audio, uses a Riedel MediorNet system as the hub and router for its three Studer Vista consoles (two Vista 9 consoles and one Vista 5). One of the Vista 9 consoles is for Daystar’s broadcast mix, while the other Vista 9 is for the studio and band mixes. The Vista 5 is used on a secondary studio/sound stage but is also road-ready, so it can be used on location production. Core wireless requirements in the system total 42 channels, including 28 channels of wireless microphones and belt packs attached to the system, and 14 wireless in-ear belt packs for the band mixes and IFB. There are many more wired mixes allocated to band members. In addition, the studio Vista 9 provides another 10 foldback mixes for each of the sets around the sound-stage, through loudspeakers mounted in the lighting grid. The Daystar team doesn’t rely much on cue lists or snapshots during the show. They set the consoles up for the day’s work by reallocating I/O as necessary, and operating all sets from a single setup. The consoles also provide multitracking facilities to attached ProTools systems.